From the LibApps dashboard, click on My Accounts (or your email address) in the navigation bar. Scroll down to the Account Permissions box. 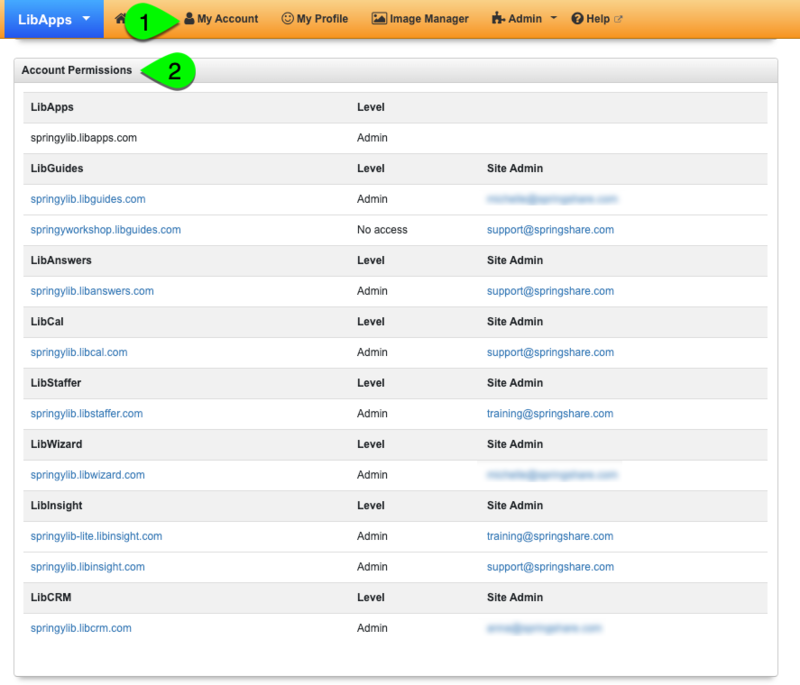 You will see a list of each site you have access to, along with your account level and the email address of that site's admin. If you'd like to see a list of which sites you do not yet have access to, click on the checkbox next to Include sites where my account does not have access.